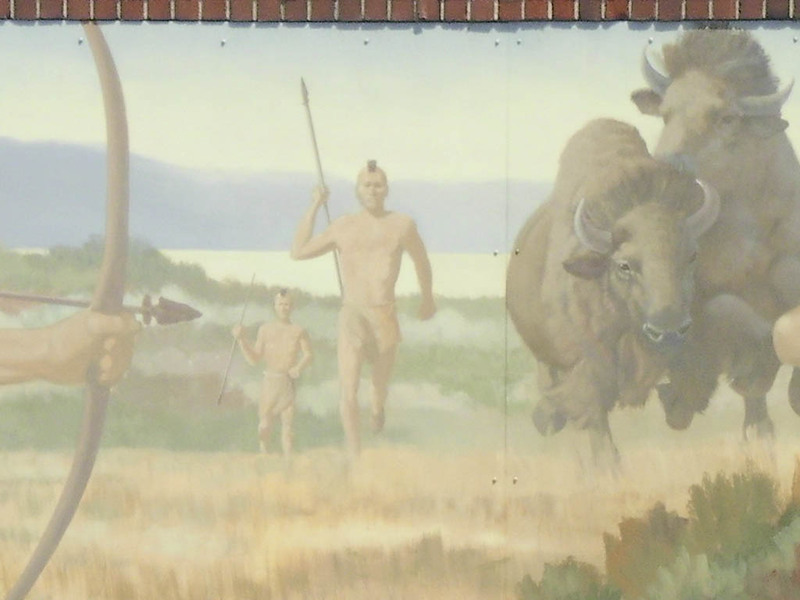 Before French explorers entered the Illinois Valley or white settlers sowed crops and built homes here, the valley was populated by Native American Indian tribes. They recognized the confluence of the Illinois and Fox rivers as an ideal trading center, and thousands settled in a grand village along what is now Dee Bennett Road between Ottawa and Utica. 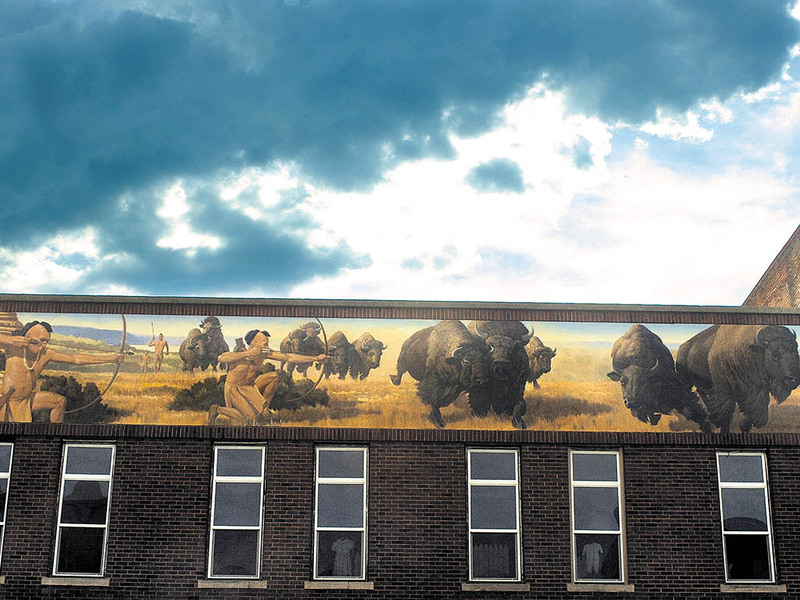 These early residents relied on that great beast of the plains, the buffalo, as a source of food, clothing, medicine and other items necessary for their daily lives. 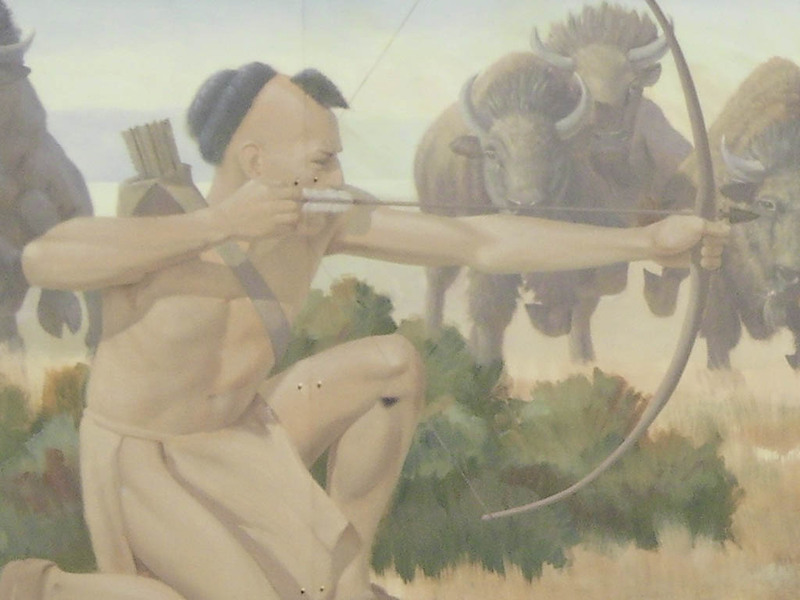 Armed with bows and arrows, the hunters rounded up buffalo herds in canyons to make the animals easy targets. The ritual “buffalo run” has given the state park, Buffalo Rock, its name. 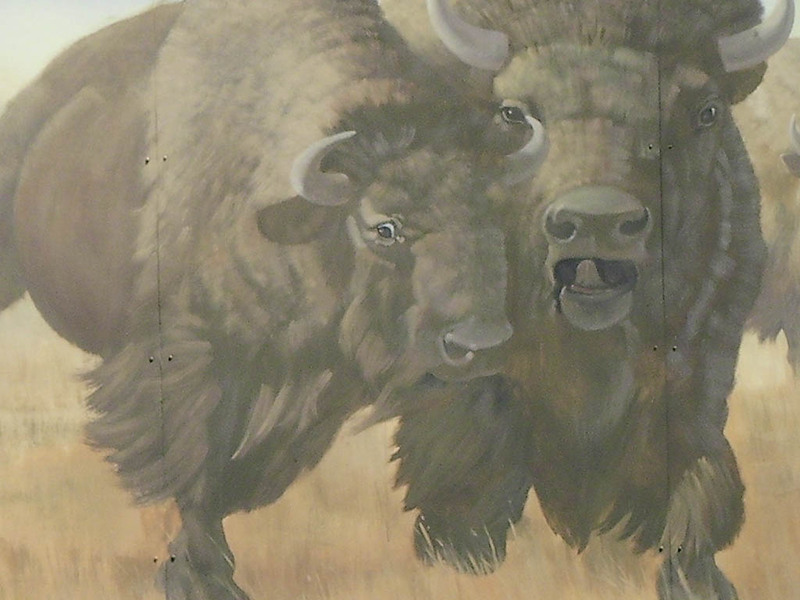 In the mural, a quartet of wooly bison jostle each other in their rush to escape, seeming ready to stampede into LaSalle Street traffic! 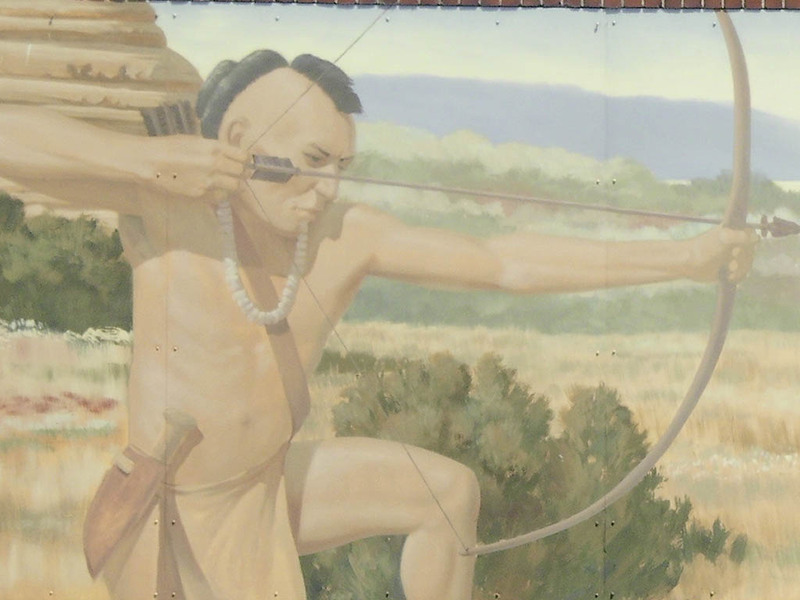 Two hunters kneel and take aim, their sinewy arms drawing back the bowstrings and their eyes narrowing intensely as they focus on their targets. In the distance, the tawny grass of an Illinois Valley bluff stretches to the blue-gray horizon and the Illinois River.